You'll get two cheesecakes, shipped in one box! 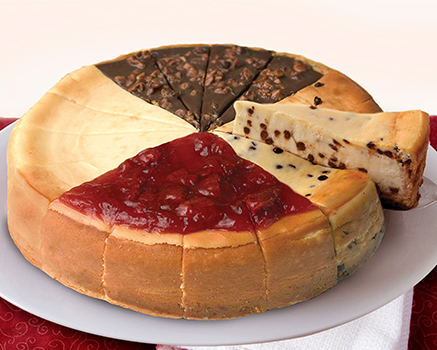 Original Plain Cheesecake & Original Sampler. Each cake is pre-cut. A rich creamy cheesecake baked on an all-butter shortbread cookie crust. Made with pure Madagascar Vanilla.